If Justice Antonin Scalia had survived to participate in the remainder of the 2015-2016 Supreme Court term, his vote would have made a significant difference in the resolution of several cases. Moreover, if the Senate had confirmed Merrick Garland to fill Scalia’s seat, some of those cases might well have turned out differently. From unions’ rights to tribal jurisdiction, immigration and birth control, Scalia’s absence has already impacted a number of important decisions, foreshadowing how the country might be shaped by substantial changes to the court’s makeup over the next president’s term. Thus a lower court decision that public-sector workers can be required to pay union dues stands; there is no decision by the Supreme Court. As a result, unions in California and 22 other states retain their right to collect dues. Justice Scalia almost certainly would have ruled against the unions, breaking the tie. If Garland had been on the court and voted with the liberals, the result would not have changed, but the court would have issued a binding opinion. The 4-4 tie in United States v. Texas means that nearly 5 million undocumented immigrants must remain in the shadows. The court was reviewing a challenge to President Obama’s executive order that would have protected millions of people from deportation and permitted them to legally work in the United States. President Obama’s order created Deferred Action for Parents of Americans (DAPA), designed to allow parents of children lawfully entitled to be in the US the right to remain for a period of time, and deferred their deportation. The parents would not be given a path to citizenship, but they could work and receive benefits like driver’s licenses. Texas and 25 other states filed a challenge to President Obama’s order in the court of a federal district judge sympathetic to the states’ position. That judge issued a preliminary injunction, blocking implementation of DAPA nationwide. The injunction was upheld by two judges on a three-judge panel of the Fifth Circuit US Court of Appeals. Because of the tie vote, the injunction stands, and there is no Supreme Court decision. Had Justice Scalia survived, he most likely would have voted to overturn President Obama’s program, with language about limitations on executive power. If Garland had been on the court, he may have tipped the balance the other way, granting relief from deportation to millions of immigrants without papers. The Obama administration could file a petition for rehearing, asking the Supreme Court to put the case on hold until a ninth justice is confirmed. Dollar General Stores v. Mississippi Band of Choctaw Indians also ended in a 4-4 tie. The effect of the split leaves in place the Fifth Circuit’s decision that tribal courts have jurisdiction over non-Native Americans based on the latter’s consent. The family of a 13-year-old Choctaw boy filed a civil lawsuit in the Mississippi Band of Choctaw Indians tribal court against Dollar General Stores and its manager, Dale Townsend. The suit alleged that Townsend had molested the boy. The circuit court had concluded that Dollar General is subject to tribal jurisdiction because it agreed to participate in a job-training program sponsored by the tribe. The youth worked at Dollar General, which was on trust land in a building owned by the tribe located on the reservation. In its lease documents, Dollar General had expressly consented to the application of tribal law and tribal-court jurisdiction. The tribe had also issued Dollar General’s business license. Although the 4-4 split results in no decision of the high court, the circuit court’s decision remains binding in the Fifth Circuit, which includes Mississippi, Louisiana and Texas. Either Justice Scalia or Garland could have tipped the scales, one way or the other. The court was likely split 4-4 on this case, but issued no binding decision. But instead of affirming the lower court judgment, as it did in the cases described above, it vacated the courts of appeals decisions and remanded the case to the Third, Fifth, Tenth and DC Circuit Courts of Appeals, directing the parties to reach a compromise that would not prevent women from getting birth control, but would not burden employers’ religious exercise. Had Justice Scalia participated in the case, the contraceptive mandate would have been struck down. If Garland had voted with the liberals, the court may have issued a binding decision upholding the mandate. Fisher v. University of Texas did not result in a 4-4 tie. The court decided by a 4-3 vote to uphold the University of Texas’ affirmative action program. Justice Elena Kagan, who handled the case when she was solicitor general, did not participate in the decision. The “Project for Fair Representation” filed the lawsuit against the University of Texas on behalf of Abigail Fisher, a white student who had good, but not excellent grades. Fisher did not qualify for the Top Ten Percent Plan and did not make the cut with the holistic calculation. These cases demonstrate the stark difference a ninth justice would make on the high court. 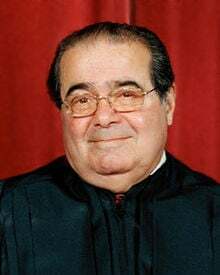 If Justice Scalia had still been on the court, the case would likely have ended in a 4-4 split, which would have left the appellate court’s decision upholding the program in place. It is also possible that Justice Scalia could have convinced Justice Kennedy to oppose the program, which would have resulted in a 5-4 decision against the university and affirmative action in general. Had Garland participated in the decision and voted with the liberal justices, the court probably would have reached the same result with a 5-3 split. In a future such case, Justice Kagan would likely vote with the liberals. Kennedy wrote, “Considerable deference is owed to a university in defining those intangible characteristics, like student body diversity, that are central to its identity and educational mission.” Since he made clear that each university’s affirmative action program would be judged individually using specific criteria, we will see future challenges to other programs. The “Project for Fair Representation” is reportedly searching for plaintiffs at University of Wisconsin and University of North Carolina. In a 5-3 decision, the court held in Whole Women’s Health v. Hellerstedt that Texas law HB 2 violated a woman’s constitutional right to choose abortion. HB 2 required abortion clinics to comply with standards applicable to ambulatory surgical centers, and mandated that doctors who perform abortions have admitting privileges at local hospitals. Under the guise of protecting womens’ health, Texas had enacted two sham regulations that effectively denied women the right to an abortion. In fact, since the law went into effect, 20 of Texas’ 40 abortion clinics had been forced to close. Since several states had passed similar laws, the stakes in this case could not have been higher. If Justice Scalia had participated in this decision, it would still have reached the same result, but would have been a 5-4 decision. Additionally, if the court had been so closely split, future challenges to the right to abortion may have been looked upon more favorably. Had Garland been on the court, this may have been a 6-3 decision. This case will have far-reaching effects on other states’ attempts to unduly burden the right to an abortion. Indeed, after deciding Whole Women’s Health, the high court refused to overturn appellate court decisions that had blocked restrictions on abortion in Wisconsin and Mississippi. Utah v. Strieff was another 5-3 decision, this time breaking down along gender lines. The male justices voted to uphold the search; the female justices voted to strike it down. The court upheld the use of drug evidence against Edward Strieff even though the police had stopped him illegally. When the officer ran a warrant check, he discovered Strieff had an outstanding “small traffic warrant.” After arresting him for the warrant, the officer searched Strieff and found drugs in his pocket. Trump’s list of 11 prospective court nominees was prepared by the radical right-wing Heritage Foundation and Federalist Society. Nearly 8 million people in the United States have outstanding warrants, “the vast majority of which appear to be for minor offenses.” This is a “staggering” number, according to Justice Sotomayor. She cited the Ferguson Report, that found 16,000 out of the 21,000 people in Ferguson, Missouri, had outstanding warrants. “It is no secret that people of color are disproportionate victims of this type of scrutiny,” she added, citing Michelle Alexander, W.E.B. Du Bois, James Baldwin and Ta-Nehisi Coates. If Justice Scalia had participated in this case, the vote probably would have been 6-3. Although the result would not have changed, Justice Scalia’s participation may have led to more sweeping language against the exclusionary rule — which mandates exclusion of evidence obtained in violation of the Fourth Amendment. These cases demonstrate the stark difference a ninth justice would make on the high court. As UC Irvine law school dean Erwin Chemerinsky points out in the Los Angeles Times, the court has had a conservative majority for 45 years. Without Justice Scalia, there is no longer a reliable fifth vote for a conservative result. One of the most striking distinctions between Hillary Clinton and Donald Trump is the kind of justices each would nominate. The next president could nominate as many as three or four justices to the high court, radically changing the balance on the court. Clinton has said her nominees would have to support abortion rights and the Voting Rights Act, and vote to overturn Citizens United. She favors a judge in the mold of Justice Sonia Sotomayor, who has turned out to be the most liberal justice on the court, especially in cases involving racial and criminal justice. By 2017, there will be three justices who are at least 79 years old. Thus, the next president could nominate as many as three or four justices to the high court, radically changing the balance on the court. “If Hillary Clinton is elected president in November, a liberal majority may dominate the court for years to come,” Chemerinsky notes. The stakes in the forthcoming presidential election could not be higher. Marjorie Cohn is professor emerita at Thomas Jefferson School of Law, former president of the National Lawyers Guild and deputy secretary general of the International Association of Democratic Lawyers. She writes and speaks about human rights and US foreign policy. Her latest book is Drones and Targeted Killing: Legal, Moral, and Geopolitical Issues. Visit her website at http://marjoriecohn.com/ and follow her on Twitter: @marjoriecohn.